NEW T-Bucket Bodies with Passanger Door!!! Manufacturers, Parts Suppliers, Painters, Fabricators, etc! Thread: NEW T-Bucket Bodies with Passanger Door!!! Tired of Jumping & Crawling In & Out of Your Model T? Wish your Model T was easier to get into? 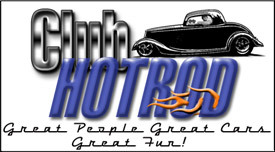 Total Performance, Inc. is now offering Model T Bodies with a Door! That’s right, for your comfort, Total Performance has once again modified Henry Ford’s 1923 Model T. Model T Bodies are now available with a passenger door for easy and comfortable access to your Model T! Doors include standard steel hinges with an inside handle, which can not be seen from the outside, giving your Model T a smooth, clean look, like the original. No lock, no key, just quality materials and increased comfort & accessibility for you in your Model T.